Short breaks in European cities, weekend getaways, these are the kinds of offers that tempt the overworked and the bored. Within an hour, you can be flown to a completely different environment with a totally incomprehensible language. Such was my plan of action when I moved back to London, after using Houston as my hub for travelling within the Americas and Singapore as my hub for South East Asia. Not surprisingly, I designated London as my hub for Europe, with weekend excursions to Verona, Rome, Paris, Dublin, etc. Yet, when it comes to Copenhagen, this is only my second trip, the first being a drive-through to Sweden. Had it not been for my friend's birthday gala event, I probably would not have booked a ticket for only two nights, arriving after 4 pm and leaving at noon! The outdoor reception began promptly at six with champagne and prawn crackers. Plastic Danish flags were planted on the lawns to indicate that a party was in progress. 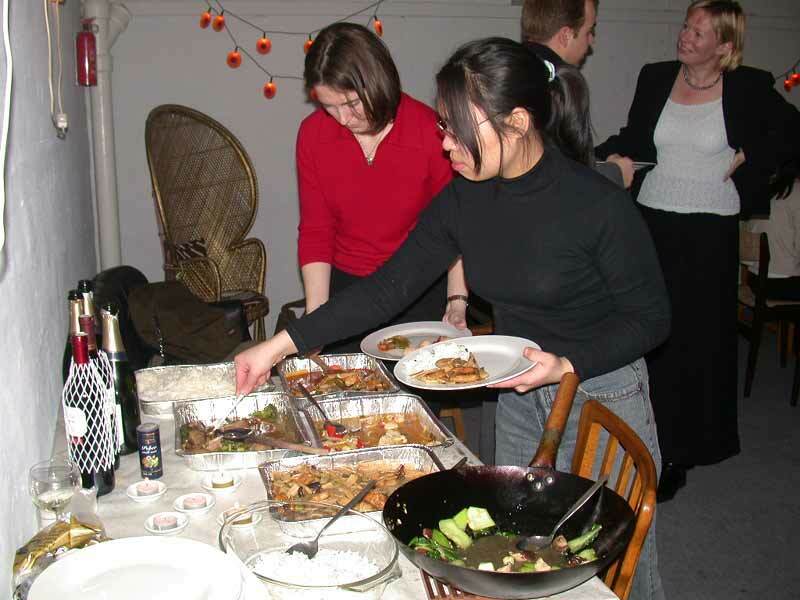 There were short introductions to figure out who were colleagues, old classmates, or "other." 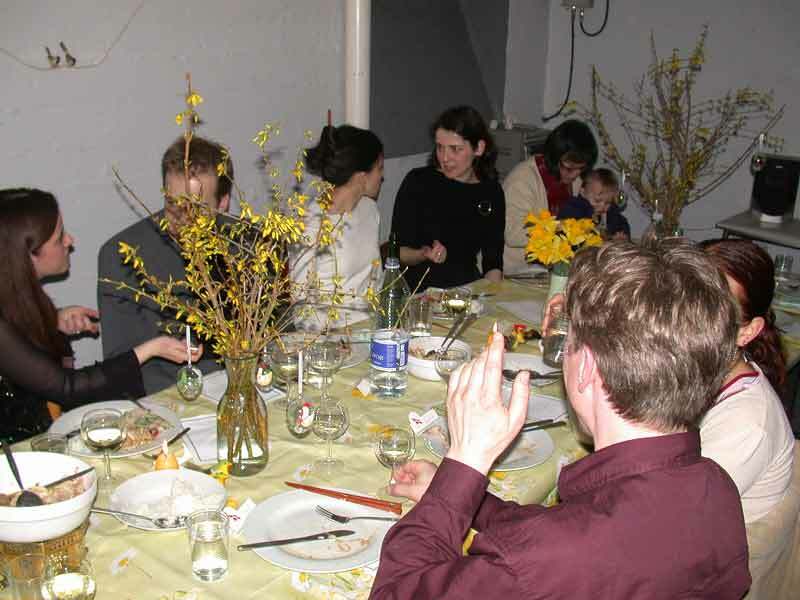 Downstairs in the common room of the four storey apartment complex, a long table was already laid out, decorated with daffodils, Easter hens and glass eggs, and name cards. I was very glad that I didn't have to decide where to sit. Even more glad was I to find my name on the right-hand side of the host, my friend of twelve years. 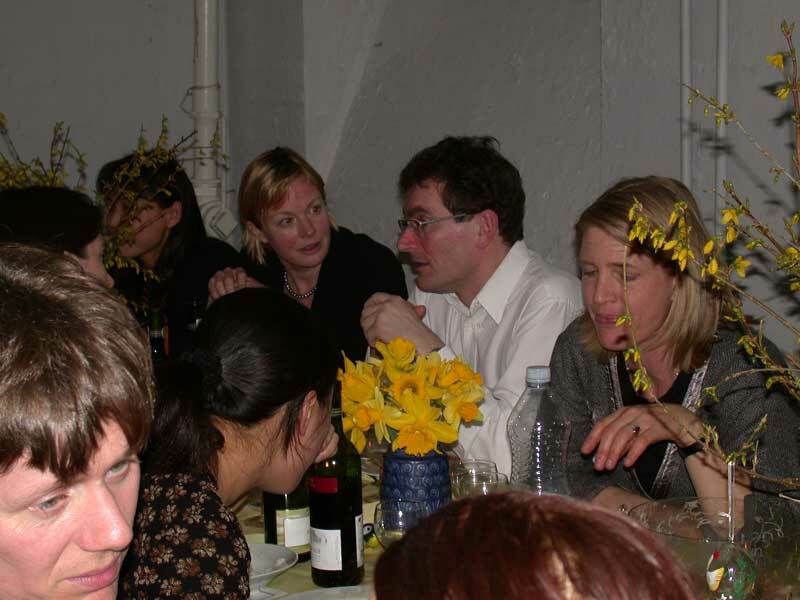 Six years ago, we held a joint birthday event in London - an afternoon tea party with music. 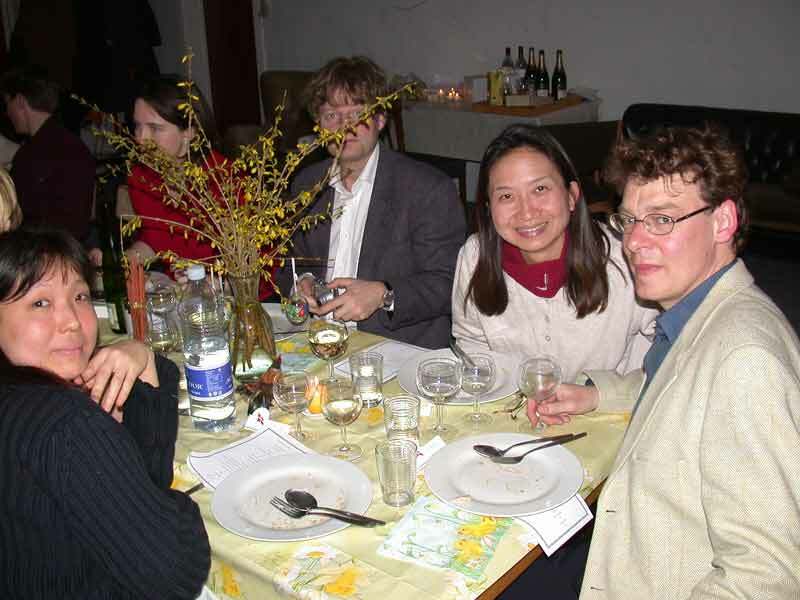 On Saturday 3rd April, 2004 he launched his own birthday dinner with the help of his friends. My favourite dish was the Vietnamese prawn vermicelli salad, closely followed by Chinese five spice chicken (served cold). 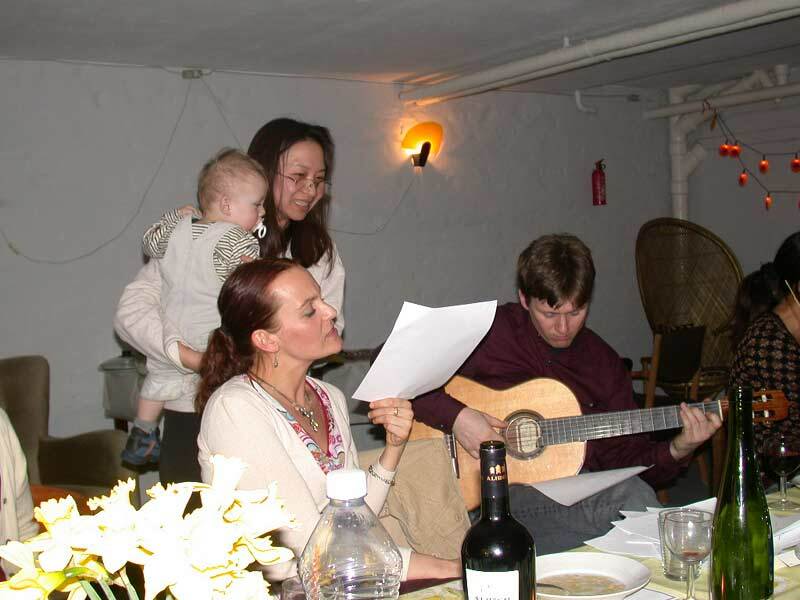 It was only proper to end the evening with a sing-along to live guitar, if only there were songbooks from which to select songs. The twenty guests had to sing my favourite love songs I had compiled earlier!